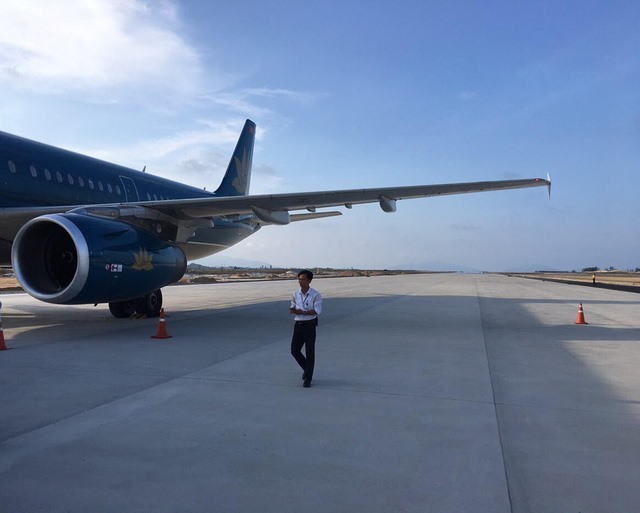 KHÁNH HÒA — The crew of a Vietnam Airlines (VNA) flight were suspended for landing on an unopened runway at Cam Ranh International Airport in Khánh Hòa Province on April 29. The air traffic controllers at Cam Ranh Airport were also suspended and will be interrogated. VNA apologised to all passengers on the flight for the unfortunate incident. According to VNA, Flight VN7344 from HCM City landed on the newly built runway at 2.53pm. The runway is yet to receive clearance for operation. The crew landed the flight safely, with 203 passengers on board. They were provided full assistance at the airport. When the plane landed, the weather in Cam Ranh was fine, and no technical issues were reported. After the incident, VNA said it had suspended the crew and sought an explanation for the landing. A team, which was set up to inspect the aircraft, will work with the Civil Aviation Administration of Việt Nam to investigate the case. Meanwhile, VNA held an emergency meeting to review all operations at Cam Ranh Airport as well as in other airports to avoid similar incidents in future. The Ministry of Transport said it had reported the incident to the Prime Minister. The Airbus A321 in question was handed over to VNA on August 26, 2015, and had received its latest maintenance check on March 9, 2018.